Seven had a big lead with a primary channel share close to 28%, while it was the combined channel share champ too with 34.9%. Mason took on the River Boys on Home And Away. The Monday night audience of 725,000 turned into 681,000 last night. My Kitchen Rules was in Brisbane for a big fat Greek feast with Stuss and Steve. It didn’t go well with Pete Evans giving the main course of Greek baked lamb just one out of 10. They could be in line for the first elimination episode, but there are still two teams to cook in this round. The episode pushed close to 1.2m. Tuesday last week did 1.06m. It was episode 13 of The Good Doctor and Shaun made a controversial assumption about a patient’s motives. Seven has caught up to the US with new episodes and there are just five new episodes left between now and the season end. The audience is holding up well and the average watching until close to 10.30pm was 1.05m. Two eps screened last week were both over 1m. Two episodes of Grey’s Anatomy followed on Seven’s medical night with the first on 277,000 and the second on 138,000. A Current Affair started with a Chris Allen exclusive about how police are using force to deal with crime in Byron Bay. 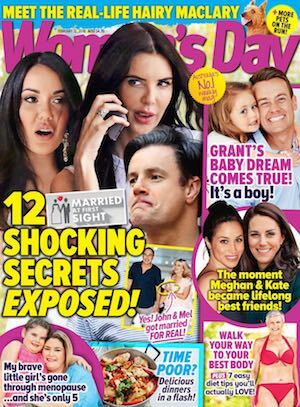 But it was the Sophie Monk exclusive that we wanted to see and story three delivered via a Leila McKinnon interview delivered in two parts. Sophie is making plans to have a baby and she didn’t dump Stu via social media. The episode did 854,000, which was up on Monday’s 813,000. Married At First Sight managed to keep the weddings coming all the way to episode seven. But that’s it, no more. For the rest of the show there was more coverage of the honeymoons. The episode did 899,000, up on Monday, after 901,000 on Tuesday a week ago. The second episode of One Night With My Ex did 250,000. Then it was time for Beauty And The Beach at 10pm on 140,000. The Project 7pm did 498,000 featuring good interviews with Chris Hemsworth and then Macklemore to finish the show. It was party time for the hosts and crew at I’m A Celebrity… for the 100th episode, although upon checking it was realised it was actually episode 101 so the festivities ended as quickly as they began. There wasn’t much of a party for the celebrities…it was tucker Tuesday. The numbers were down week-on-week from 844,000 to 626,000. Hughesy, We Have A Problem followed on 515,000, down from 604,000 a week ago. NCIS: Los Angeles has kept its Tuesday slot with 264,000 last night. The Checkout looked at new TVs and then had a long F.U. Tube devoted to Jetstar. (And deservedly so.) The audience was 519,000 after 524,000 for the debut last week. The science show Catalyst looked at robotics and the rural industry and did 443,000. A UK episode of Who Do You Think You Are? featuring Danny Dyer did 154,000 at 7.30pm. SBS World News was not far off the channel’s best with 135,000. Best Of Insight did 105,000 and the numbers climbed ever-so-slightly to 108,000 for Dateline Best of 2017. 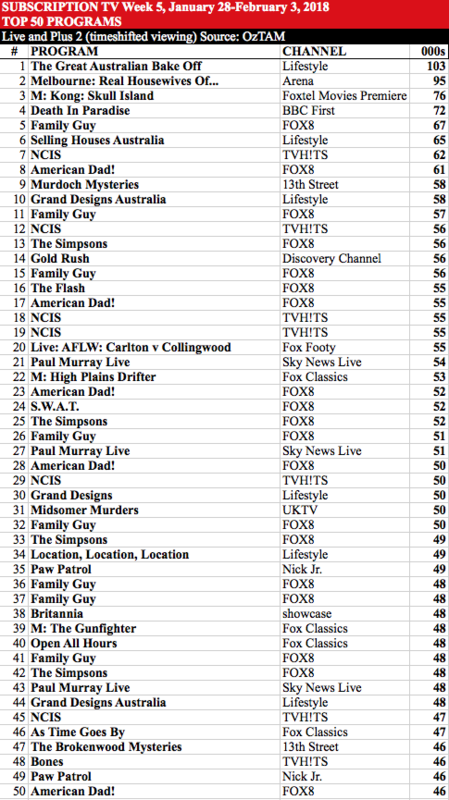 Once again the subscription TV chart was dominated by general entertainment programs in week 5 – the FOX8 and TVH!TS channels occupied 26 places in the top 50. Lifestyle channel still had the most popular show of the week with Thursday night’s primetime episode of The Great Australian Bake Off. There were five other listings for the channel in the chart. Fox Classics was the next-best channel for total number of listings, and two of its four were old movies. Its best performer was a pretty mediocre western from 1973, High Plains Drifter at #22, directed by and starring Clint Eastwood. 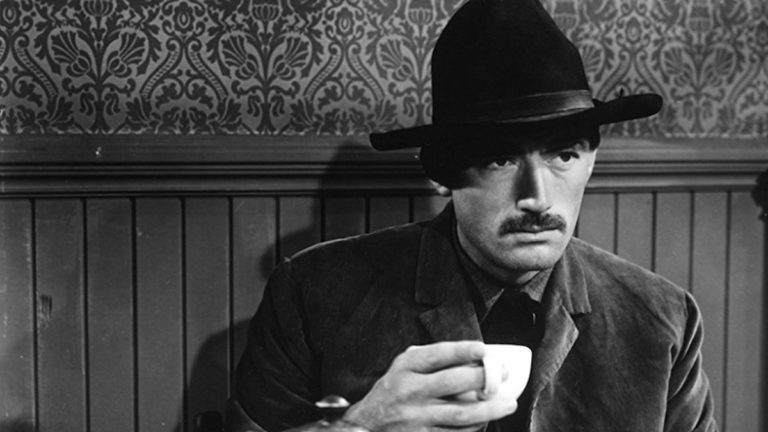 Fox’s The Gunfighter (1950) would have been better viewing at #39 – former matinee idol Gregory Peck acknowledging his advancing years with a fine performance as an ageing gunfighter and the movie also managing an Oscar nod for best screenplay. Foxtel Movies Premiere channel had the only recent movie in the 50, last year’s Kong: Skull Island at #3. Women’s AFL scored the only sports entry of the week for Fox Footy channel at #20. Nine News Queensland co-host Melissa Downes will be celebrating a couple of milestones in 2018 and 2019. 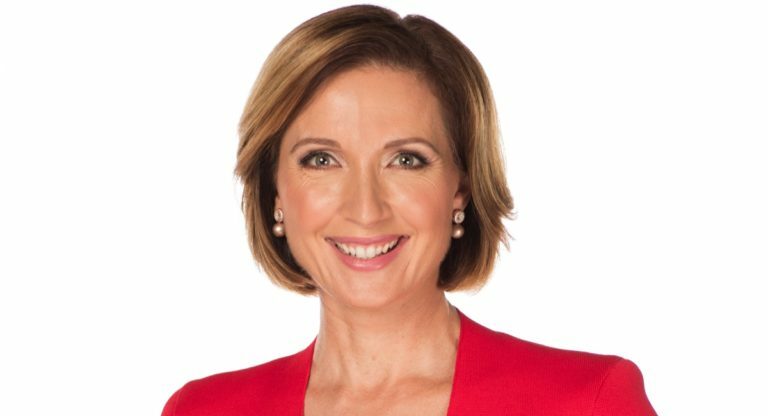 This year marks a decade since she took the spot behind the Nine News desk in Brisbane to host the network’s primetime bulletin. Next year, Downes and her 6pm news co-host Andrew Lofthouse will mark a decade of their on-air partnership. “When you read with someone, it’s like learning to dance with someone. You have to learn to trust them,” Downes told Mediaweek. “I have had instances a long time in the past where I did have to work with people who weren’t greatest of friends. So to have a great friendship with Andrew and being able to work together makes the job so much easier. Nine News took out the title of the most-watched news bulletin in 2017 in Australia’s three largest cities: Sydney, Melbourne and Brisbane. With the Commonwealth Games being held in the sunshine state in just over a month’s time, the Nine News Queensland team has a tough job ahead of them. This is especially the case because its rival station Seven has the broadcast rights for the Games that take place once every four years. “That is definitely a challenge. There is no two ways about it,” Downes said. 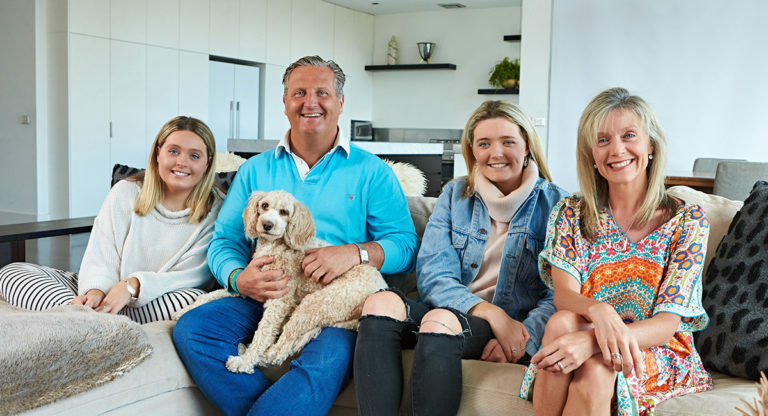 “Fortunately because Nine has had a Gold Coast news service for more than 20 years, we are very connected with the local community. We know a lot of the local athletes. In her time as a journalist and presenter, Downes has covered some of the biggest stories to come, both state and international. 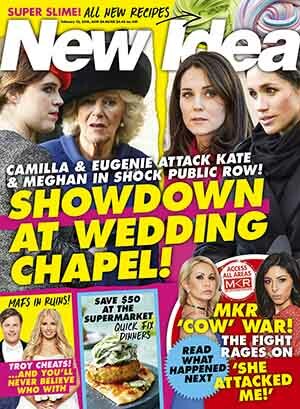 However, as this is the year of the royals with a baby on the way and a wedding, Downes couldn’t help but remember the time she travelled to UK in 2011 to cover Prince William and Kate Middleton’s wedding. She said it reminded her of watching Prince Charles and Princess Diana’s wedding as a little girl. Being a fan of the royal family, Downes seemed evidently excited for the year ahead. With a show like Gogglebox there is only so much pre-production that can be done. 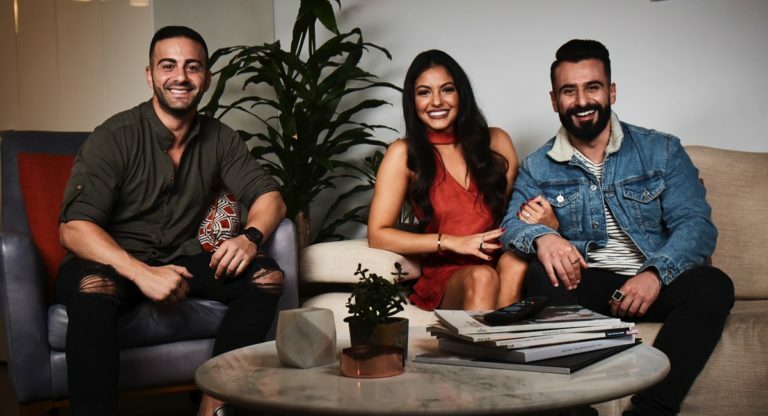 As the executive producer of the show for Endemol Shine Australia, David McDonald, told Mediaweek, all of the contributions from the various families are filmed the week prior to going to air. 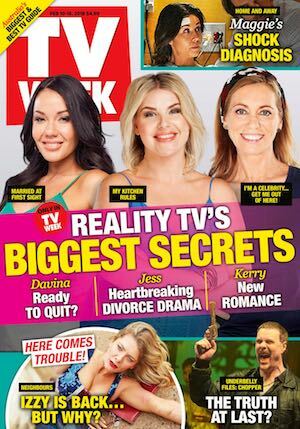 The hit format returns to Lifestyle (Wednesday) and TEN (Thursday) this week as it starts coverage of all the big returning TV series for 2018. The show now tracks the viewing habits of 11 households, a number which has been constant since series three. All 11 viewing groups crop up in every episode. McDonald said there are many approaches from people who think they would have something to contribute. There are five crews who work on the series, filming the households over a five-day period. There could be as much as 12 hours of footage in total to make a five-minute piece on one show. 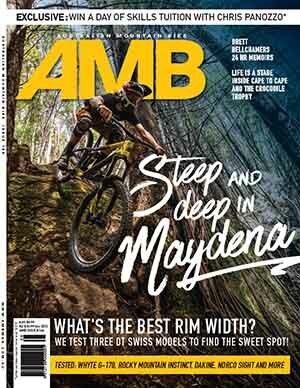 “There is a lot of content for the editors to sift through to make each short piece of television,” said McDonald. Because of the time constraints, there is no way the households could be filmed watching all of every episode being discussed. The viewer groups need to be in front of their TV sets twice a week for filming sessions. “Unless it is grand finals or special events like that,” said McDonald. None of the households gets wardrobe help. “This is 100% them you are seeing in their lounge rooms,” said the Gogglebox EP. QMS Sport and Techfront Australia have announced an alliance which sees QMS Sport expand its portfolio of sports media rights and Techfront Australia consolidate its position as the pre-eminent supplier and operator of on-field LED signage in Australia and New Zealand. The media sales rights to all NRL games, including the State of Origin series, and select AFL games will be consolidated under the new alliance via QMS Sport, with Techfront providing a uniformed display across all on-field LED signage, including game-day operational duties. QMS Sport now represents the largest on-field sports media network in Australia. 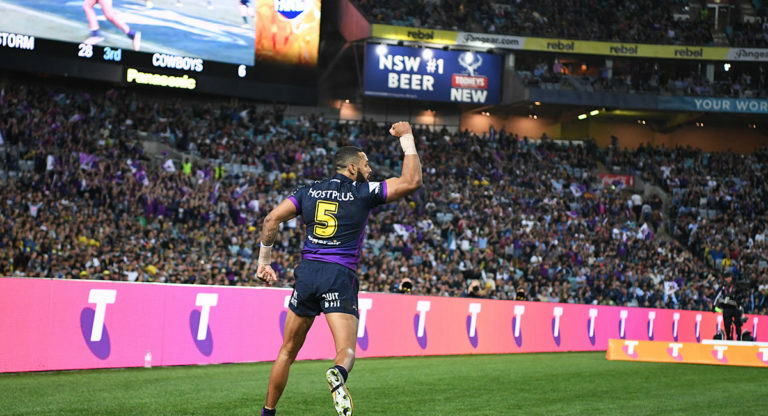 The expanded presence across the NRL and AFL competitions complement its existing media rights across the super netball, rugby union, FFA and V8 Supercars. Yahoo7 has announced changes to its operations. Without any specifics regarding the number of people let go, a statement said: “Following a strategic review with its shareholders Oath (Yahoo and AOL) and Seven West Media (SWM), Yahoo7 needs to make changes to its structure that will carry the company into the future. Yahoo7 indicated premium consumer brands like Yahoo7 Be, 7News, Yahoo7 Finance, Mail and 7Sport will continue as before. Yahoo7 flagged there would be a reduction in locally produced bespoke platforms, and potentially across the associated teams. Smaller changes are also planned across the rest of the organisation. Yahoo7 was not prepared to offer any further detail at this stage. Film Finances Inc (FFI) has made a major investment in Australian media management and facilities company Silver Trak Digital and its parent company Buff Dubs. Part of the reason behind FFI’s investment in Silver Trak, which they first announced on December 11 2017, is its policy of investing in local production and post-production equipment and services for the entertainment industry in order to complement its work in the global film industry. With offices in Sydney and Melbourne, Silver Trak and Buff Dubs have grown quickly through their ability to process media content of any description and transform, reproduce and aggregate it in the various formats demanded by its clients. This has helped them to secure preferred provider and vendor status with some of the world’s leading media platforms, including Netflix, Apple and Google, as well as gaming platforms including PlayStation and Xbox. In its last financial year, Buff Dubs generated $4.3m of revenues and underlying earnings (EBITDA) of $881,000. In addition to an initial down-payment of $881,000 FFI will make five annual payments to the vendors of Buff Dubs that are equivalent to Buff Dubs’ EBITDA at a four-times multiple. The management and directors of Buff Dubs will be staying on board to oversee the operations and growth of the company. The ABC’s treatment of what it calls one of the “biggest national security breaches in Australian history” is a disgrace, comments Brian Toohey in The AFR. After it obtained confidential cabinet papers it put the identity of its source at risk, but reported very little from the documents, preferring to talk at length about how it got them before subsequently handing them over to the government. What sort of journalism is that? Labor has split with the government on national security, with Bill Shorten declaring he would vote down laws to curb foreign ­interference unless they were changed to ensure journalists could not be locked up “simply for doing their jobs”, report The Australian’s Joe Kelly and Greg Brown. Attorney-General Christian Porter is looking at improvements to the bill and is consulting with media companies, including News Corp Australia, publisher of The Australian, which was a signatory to a joint submission raising concerns about the overhaul and ­the unintended consequences on journalists. Ikon has appointed Lesley Edwards as national CEO, in a move that completes a year-long, agency leadership restructure. 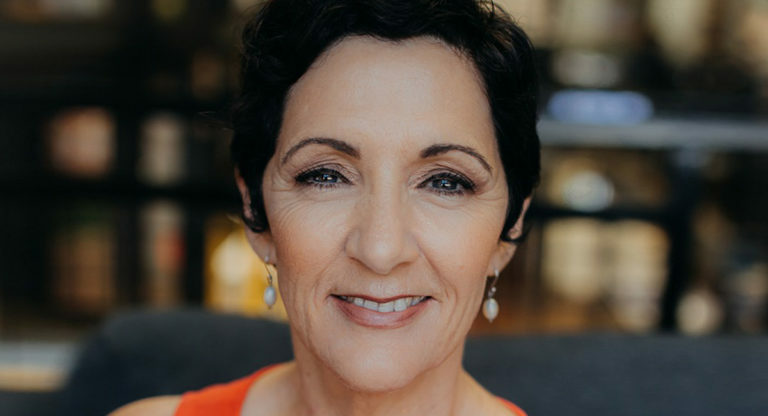 Edwards, a six-year Ikon veteran and the founder of Ikon Brisbane, was appointed to the role of chairperson of the agency in June 2017. In that position, she has worked closely with COO David Gerrie to focus the business and strengthen its position in market. Mike Connaghan, CEO WPP AUNZ, said during Edwards’s time as chairperson it had become apparent that she would prove more effective in a more hands-on national CEO role. As a result, she has been tasked with accelerating Ikon’s high growth trajectory, while moving the agency toward a tighter focus and stronger cross-office approach. “Lesley has proven herself a strong and driven leader throughout her tenure with Ikon. As founder and managing partner the Brisbane office is at the top of the market. Lesley has already had a positive impact on the national business as chairperson. I could not think of anyone better to take Ikon to the next stage of its evolution, and we are extremely lucky to have a person of Lesley’s calibre willing to take on the challenge,” he said. Edwards will continue to be based in Brisbane, and will be supported by Ikon’s national leadership team and managing partners in Sydney and Brisbane. Ikon is a full-service agency and part of marketing communications group WPP AUNZ. 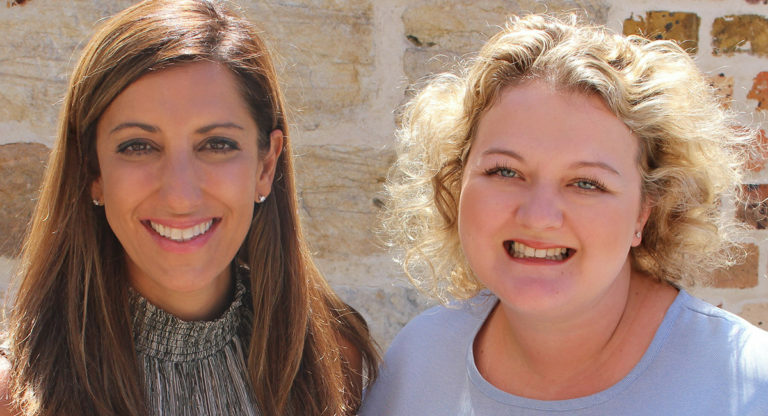 Spark Foundry Australia CEO Sue Squillace has appointed Lauren Small to the newly created role of Sydney general manager. In the role, Small will be responsible for leading Spark Foundry’s clients, staff and operations and reports to Squillace. Small was previously client service director at Spark, a position she held for two years, and prior to that was group business director with the agency. She has 12 years’ experience working in the media industry, beginning her career with Mediavest in the UK before moving to Starcom and Omnicom Media Group. Small moved to Australia in 2011 to join Mediacom and then to Starcom, where she worked in senior client service positions for four years. “I’m proud to say that 70% of our leadership team are women. We’ve worked hard to create a diverse and family-friendly environment that has allowed us to retain great talent and promote more women into senior positions. Lauren is a great example of this,” Squillace said. Small’s appointment is effective immediately and follows the recent appointment of Linda Fagerlund as national head of strategy at Spark. Pukeko Pictures has sold Kiddets, its sister series to hit animated preschool show The WotWots, to Australia’s ABC and New Zealand’s TVNZ. Patches, Dapper, Bounce, Stripes and Luna – young space cadets in training at a play school space academy on planet WotWot. Aimed at new and existing fans of The WotWots, Kiddets will enjoy a broader audience appeal including older preschool children with each episode demonstrating the positive values of teamwork and the building blocks of true and enduring friendship. 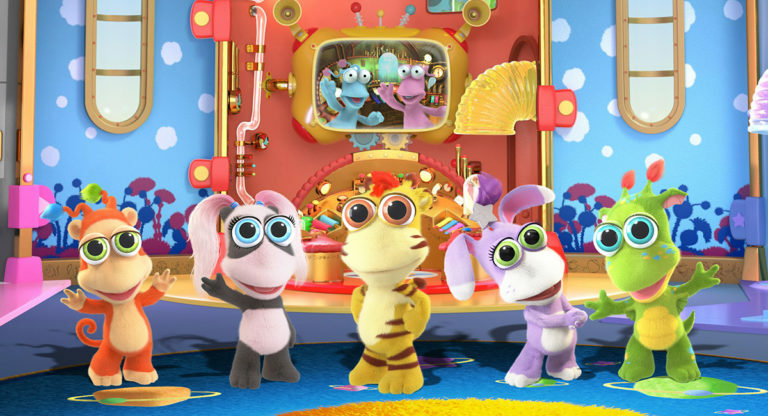 The series is co-produced by Pukeko Pictures and Guangdong Huawen Century Animation Company and is the first official children’s television co-production between New Zealand and China. Kiddets has been created by The WotWots’ creator Martin Baynton and will be executive produced by Richard Taylor. 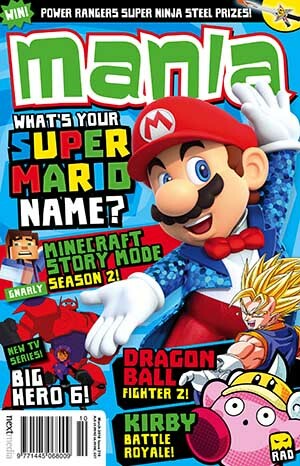 The series is distributed by CAKE, handling worldwide distribution rights excluding Australia, New Zealand and Greater China. The recently announced agreement extends to North American and European rights (for series 2) of the original Pukeko Pictures show The WotWots (78 x 11’), a global hit series that has aired in over a hundred countries and which included an extensive licensing program. 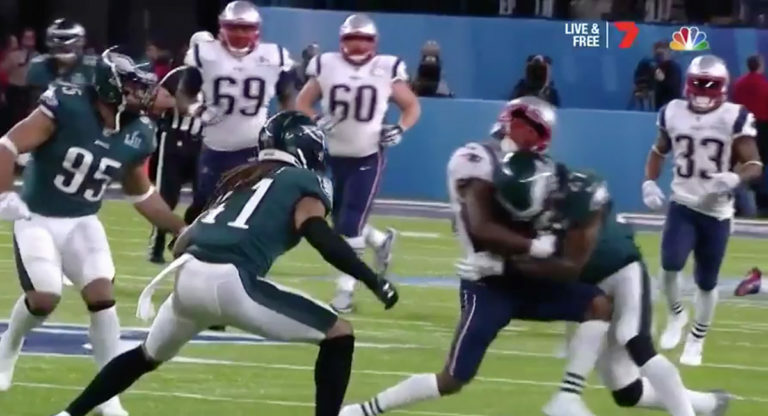 The Super Bowl clash between Philadelphia Eagles and the New England Patriots is being hailed as a classic contest… but it didn’t grow the TV audience. In the US, NBC had 104m watching the match via traditional TV or online streaming, which is down 7% year-on-year. That makes the 2018 game the least-watched since 2009.
watched program on TV this year by a long way. The audience was big enough, however, to qualify in the top 10 of all-time programs in the US, a list that includes nine Super Bowls and the farewell episode of M*A*S*H.
Kantar Media’s preliminary estimate of in-game ad expenditures for Super Bowl LII, subject to revision, is $414 million. This would be the second-largest amount in history besides last year’s game, which was the first to run into overtime. There was a total of 49 minutes, 35 seconds of commercial time from paying sponsors, the NFL and NBC Universal networks. This matches the third-highest total on record. Ads accounted for 22% of the total broadcast.